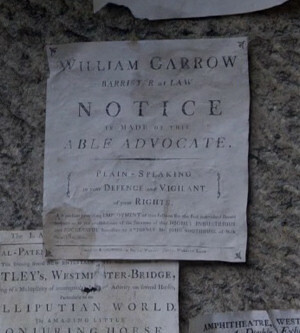 Who’d have thought late 18th century London (just a few years after our American Revolution) would be such an exciting setting for a courtroom drama!? The cases you see on this TV show are based on real cases of the Georgian era. The protagonist is a confidant, intelligent, and passionate young man ahead of his time. He doesn’t just want to practice the law- he wants to change it (as the system is rigged heavily against defendants). Hmmm… sounds a bit like the young John Adams! All lawyers aren’t bad- LOL! William Garrow, the son of a humble headmaster (principal), didn’t go to Oxford. He learned at his father’s school, then studied with a mentor (a solicitor) in Billingsgate. Being ambitious and energetic, he eventually pushed aside paperwork (writing briefs) and became a barrister. He tried his first case at age 23- unthinkable in our time! Garrow is the one credited w/ the the phrase “innocent until proven guilty.” He didn’t play it safe, even in his personal life. Garrow (Andrew Buchan, who had supporting roles in the newest Jane Eyre and Cranford) is an eager hothead when we first meet him. His mentor, Mr. Southouse (musical theater and TV veteran Alun Armstrong), cautions him against speaking too boldy in court and losing the sympathy of the (very powerful) judges. Garrow wants to address the jury, and does on several occasions, though this is frowned upon. 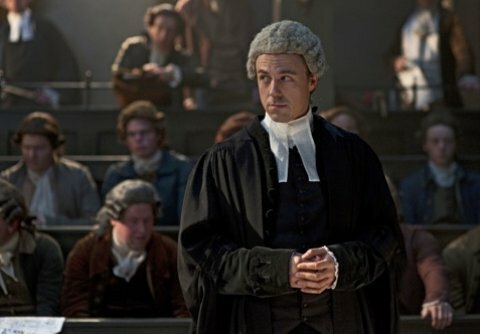 MP Sir Arthur Hill (Rupert Graves, most recently seen in Sherlock), is impressed by Garrow’s performance in court. His beautiful, well-read, and opinionated wife, Lady Sarah (Lyndsey Marshal from Rome) is also impressed. However, at their dinner party, we quickly learn that Garrow’s politics are quite different from Sir Arthur’s. Lady Sarah admires Garrow’s strong convictions (in line with many of her own forward-thinking ideals). She often observes trials, sitting beside the judge and other notable people. Lady Sarah even pays for Garrow to help a poor young servant. Their mutual respect and admiration eventually grows into more (you’ll have to see). Also, politics and his ambition create a big distance between Arthur and Sarah. The dialogue on this show is very well-written! (It sounds fresh, though it’s not modern.) The production value is very high. The sets, costumes, and music are all perfect for the period. Buchan even looks boyishly handsome in a powdered white wig, black robe, and chunky heeled shoes. Buchan played clergyman St. John Rivers, Jane’s buttoned-up (and very emotionally repressed) cousin/suitor, in the 2006 BBC version of Jane Eyre. In Cranford and Return to Cranford, Buchan played carpenter/family man Jem Hearne. NOTE: Do NOT read further unless you want to know details from S1 eps. The second case Garrow gets is thanks to Lady Sarah, who insists that her involvement be kept a secret, b/c it’d be like “an infidelity” in the eyes of her more conservative husband. A young unmarried washerwoman, Elizabeth Jarvis, has been accused of “infanticide” (though she insists her baby was stillborn). Garrow and Lady Sarah interview the defendant in Newgate Prison (VERY unusual), then have an independent doctor (“surgeon”) examine Elizabeth, then the body of her deceased child. By now, Garrow has some claim to fame, and he likes getting the approval (since his parents are deceased). He (hesitantly) takes on the VERY unpopular case of a young man accused of cutting beautiful young gentlewomen in broad daylight. The defendant’s doting mother insists her son could never do such things, though he loves drinking, pros, and runs through money. The media refers to him as “The Monster,” and in time, so do the public. BUT just b/c a defendant is unlikeable doesn’t mean he’s guilty! This ep focuses a BIT more on Garrow’s petsonal life; we see that he has more to learn still (though in court, he has a way w/ juries). When he thinks Silvester insulted Lady Sarah (who Garrow is in love w/), he challenges his nemesis to a duel. Mr. Southouse is bewildered, thinking Garrow is crazy and needs to bow out. But Garrow’s hot-headed/stubborn side wins over! The main case Garrow handles is that of a noted “thief-taker” (bounty hunter to us modern folk) who could be using less clever/scared thieves to commit bigger crimes for his gain. 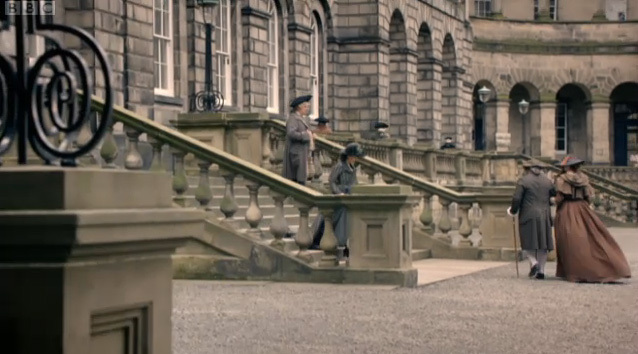 Sir Arthur tells Garrow his good news, which could mean that Lady Sarah could be lost to him forever. She insists that she won’t leave her husband. 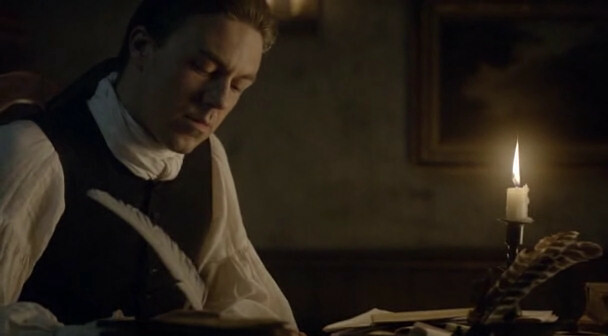 The crux of this ep centers on the case of a businessman/husband/father to 3 young children, Joseph Hamer. He has been imprisoned in Newgate for 3 mos. ONLY for gathering w/ those who think like him and exercising free speech. His wife, Mary, impresses Southouse and Garrow w/ her convinction and strength; she wants the BEST defense for the man she loves. There has been NO charge (reminds one of Guantanamo cases) yet, BUT Garrow will take the case. Late one night, Joseph is dragged from his cell to a meeting w/ ministers of Parliament (incl. Sir Arthur). They grill the humble shoemaker w/ questions, BUT he asks for actual charges. Lady Sarah wonders what’s all the noise-the jailers and heavy shackles disturbed her quiet. She meets Joseph in the hall, and realizes that her husband MAY be on the wrong side of justice. Finally, Joseph gets his day in court, BUT the charge is “high treason” (so he could be hanged)! I wonder if it’d be too much to ask the BBC to show both series of Garrow’s Law again, perhaps on BBC4?